There has been an increasing recognition about the fact that the legitimate and increasing demand for homoeopathic medicinal products (HMPs) by patients and healthcare providers, needs to be balanced by an appropriate regulatory framework which adequately addresses quality, safety and effectiveness. The real picture, however, reveals the highly variable regulation of HMPs worldwide, where country variations can be seen in the regulatory requirements as well as the pharmacopoeias. It has also been realised that, a common consensus, though so required has not been achieved till date due to limited opportunities for international exchange of experience, research outcomes and opinions between the stakeholders. To address this gap and with a vision that progress and changes happen by creating mutual understanding and bringing together diverse stakeholders from the global community together, the first World Integrated Medicine Forum (WIMF) on the regulation of HMPs was organised by the Central Council for Research in Homoeopathy, in collaboration with Dr. Robbert van Haselen, Director, WIMF with the support of Government of India at New Delhi, India, from the 23rd to 24th February, 2017. The Forum was a unique event and saw representation from stakeholders such as government officials, manufacturers, experts from pharmacopoeia organisations, pharmacists and healthcare providers worldwide. These representatives from 23 countries discussed the current state of regulation of HMPs to identify the barriers in achieving harmonisation. The 38 speakers in eight interactive sessions delivered information on the country to country variance in regulatory requirements for homoeopathic medicine manufacture and marketing. They also addressed the current pharmacopeia structures in various countries, variance in pre-market approval process, regulatory frameworks for homoeopathic medicines, labelling requirements, safety requirements, marketing approaches and good manufacturing practices (GMPs). Debates focussed on quality control testing, stability of intermediate stocks, shelf life of finished products, premarket approval process and labelling and they shed light on regional differences in regulation. The Forum proved to be an apt platform for rigorous discussions on lesser discussed, but very vital points such as regulations of HMPs, harmonisation of pharmacopoeias as well as linking industry and regulators' sectors for unified efforts towards global development of Homoeopathy. The Forum, while aiming to provide a common platform to regulators, manufactures and scientific experts for promoting dialogues in collaboration, harmonisation and regulations of HMPs, had specific objectives such as facilitation of access to affordable, quality-assured, GMP-certified, HMPs globally and enable manufacturers to open units in other countries to address the growing demand of the HMPs. As the event was first of its kind, the organisers designed a feedback questionnaire to seek opinion of the participants about the Forum, obtain their country-specific views about harmonisation/regulations, etc., to evaluate the extent to which the Forum could meet its objectives and also to identify areas of improvements which may be taken note of, for organising a future WIMF. An online conference feedback survey with 25 questions was designed through ‘SurveyMonkey’. Questions, both generic as well as specific, were included to capture qualitative as well as quantitative responses on Likert scales. The survey questionnaire was shared with 104 participants who included national and international regulators, scientific experts from the ministry and pharmacopoeial organisations and international and national industries through email. Reminders were sent to maximise responses. Of 72 participants who accessed the survey online, 63 participants (61%) completed and returned the survey. These comprised 37 regulators/experts and 26 participants from international/national industry from 18 countries, namely, Austria, Bangladesh, Belgium, Brazil, Croatia, Cuba, France, Germany, Ghana, Hong Kong, Hungary, India, Malaysia, the Netherlands, Russia, Srilanka, Switzerland and USA. How well was the event organised? Question 1: Overall, how do you rate the event? 49.21% of survey respondents rated the event as ‘Excellent’, followed by 41.27% who rated it as ‘very good’. None of the respondents rated the event to be ‘fair or bad’ [Figure 1]. Figure 1: Overall, how would you rate the event? Question 2: How well was the event organised? 47.62% respondents felt that the event was ‘extremely well organised’, followed by 44.44% who said it was ‘very well organised' [Figure 2]. Figure 2: How well was the event organised? Question 3: Do you think the venue was suitable for the event? All the respondents replied positively about the suitability of the venue [Figure 3]. Figure 3: Do you think the venue was suitable for the event? Question 4: What is your opinion of the quality of the audiovisual facilities during the event? 81% respondents found the quality of audiovisual facilities at the Forum excellent or very good. [Figure 4]. Figure 4: What is your opinion of the quality of the audio-visual facilities during the event? Question 5: How helpful was the content presented at the event? 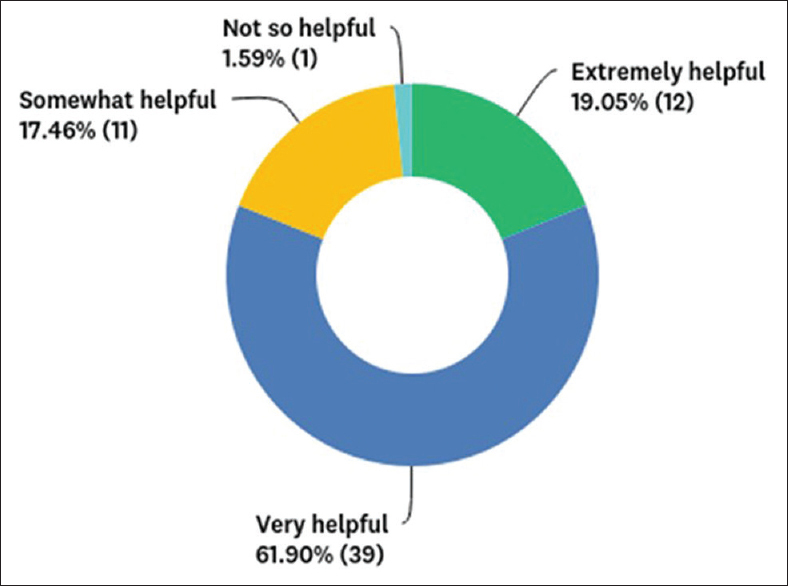 Majority of the respondents (81%) informed that the content was of great help to them, out of which 19% found it to be extremely helpful [Figure 5]. Figure 5: How helpful was the content presented at the event? Question 6: Was the content appropriate to the level of the audience? 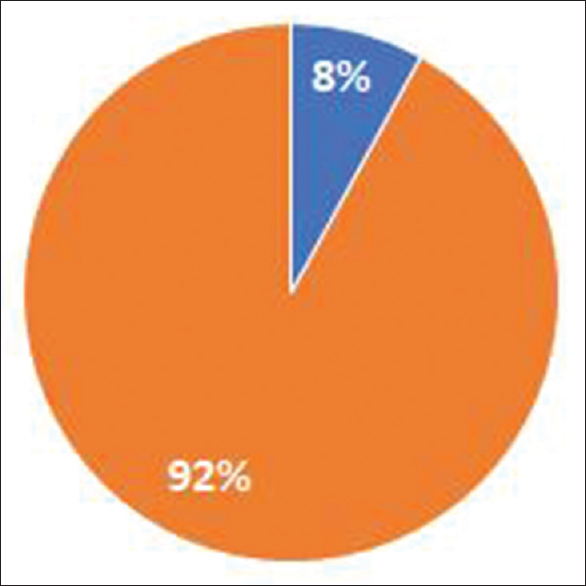 More than 87% respondents strongly agreed to the appropriateness of the content [Figure 6]. Figure 6: Was the content appropriate to the level of the audience? Question 7: How much of the information presented at the event was new to you? Almost 70% respondents found the information presented at the event to be new [Figure 7]. 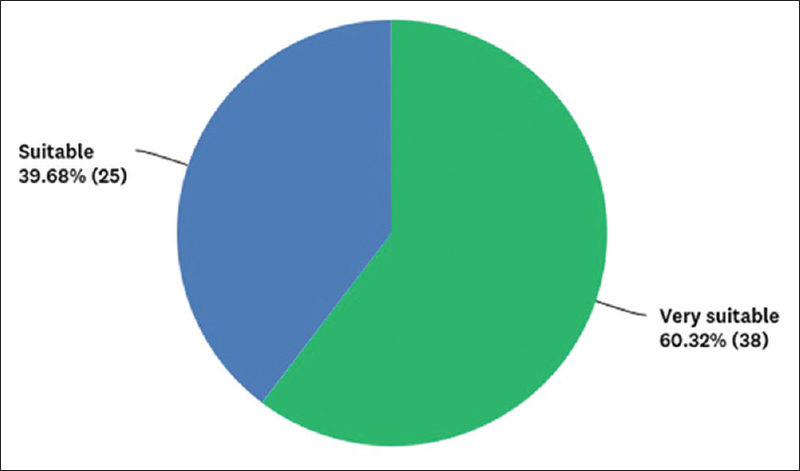 Figure 7: How much of the information presented at the event was new to you? Question 8: How useful was it in your opinion to have all the key stakeholders (regulators, industry, practitioners and pharmacists) ‘under one roof’? Clearly, a major proportion of survey respondents opined about the usefulness of bringing all the key stakeholders together, with 55.5% saying that it was ‘extremely useful’, followed by 24% who found it ‘very useful’ and 15% who considered it to be ‘useful’ [Figure 8]. Figure 8: How useful was it in your opinion to have all the key stakeholders (regulators, industry, practitioners and pharmacists) ‘under one roof’? Question 9: Did from your perspective, the interactions with the other stakeholders, live up to your expectations? Interestingly, more than 68% respondents indicated that the interactions with other stakeholders were ‘a lot better, or better, than their expectations’ [Figure 9]. Figure 9: Did from your perspective, the interactions with the other stakeholders, live up to your expectations? Question 10: Do you have any suggestions how these interactions could be further improved? A pre-event assessment to formulate a structured document with specific country issues as points for discussion may be conducted; which can be followed by a post-event assessment to draw conclusions and a cohesive action strategy for periodic review. Did the Forum meet your expectations? Question 11: What did you expect to get out of this Forum? Overall, the respondents informed that the main expectation behind their attendance was enhanced interaction and collaboration opportunities. The respondents agreed that as expected, the Forum provided them a bird's eye view of the regulatory situations in various parts of the world and was a window to expand their horizon of knowledge about international regulations in Homoeopathy from the most reliable sources. Indian respondents felt that India owned the responsibility of organising such fora as it is home to the maximum number of homoeopathic manufacturers. A respondent from the WHO remarked that the Forum rightly highlighted the need of a common action plan/recommendations towards harmonised regulatory system for homeopathic medicines among member states while many felt that such fora would show the way ahead for future standards and harmonisation possibilities for Homoeopathy drug sector. Question 12: Overall, how well did the event meet your expectations? Reflecting in numbers, around 75% of respondents affirmed that the event was either ‘a lot better or better than what they had expected’ while the event lived up to the expectations of 24% participants who said that the event was ‘just like what they had expected’ [Figure 10]. Figure 10: Overall, how well did the event meet your expectations? Question 13: Do you think some reforms are required in the regulations of homoeopathic products in your country? 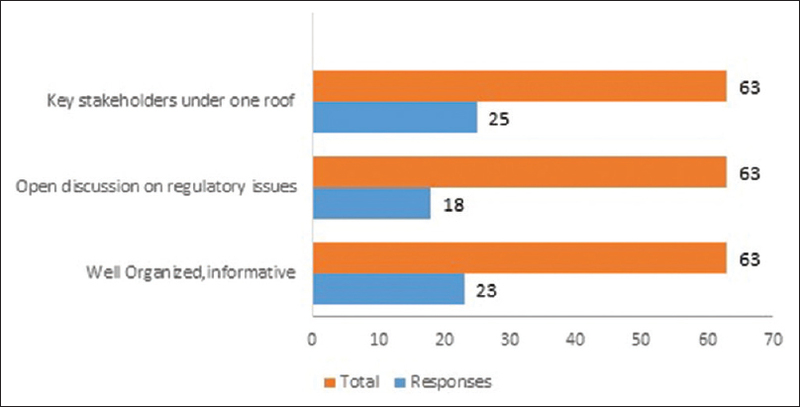 83% respondents felt that some reforms are required in the regulations of HMPs in their country [Figure 11]. 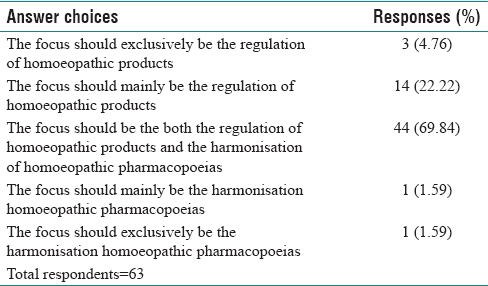 Figure 11: Do you think some reforms are required in the regulations of homoeopathic products in your country? Respondents highlighted that as Homoeopathy is a widely recognised and accepted system worldwide, a harmonised regulatory system for homeopathic medicines must be developed to ensure good quality of HMPs, and this can be achieved through cooperative interactions among various stakeholders, both nationally and internationally. Question 14: Was the Forum useful from a national perspective in this regard? 87.3% respondents felt the usefulness of the Forum from a national perspective [Figure 12]. Figure 12: Was the Forum useful from a national perspective in this regard? Most respondents were of the opinion that the Forum was of importance not only from an international but also from a national perspective. The respondents from the industry felt that the Forum sensitised them about the importance of adhering to regulatory laws of their countries for developing a credible image of Homoeopathy in the world. They also felt that the Forum gave them an opportunity for enhanced and informal interaction with their respective national regulators and pharmacopoeia experts directly where they could put forwards the challenges in the present regulatory framework and emphasise the need for moving with emerging trends. The deliberations at the Forum also brought clarity to many about the regulatory scenario in other countries and develop a better national perspective based on the learning from international perspectives and practices. Question 15: Do you think the Forum has been able to provide impetus to further dialogue on strengthening regulatory frameworks worldwide, with a view to assuring that users of Homoeopathy can have wider access to high-quality homoeopathic medicines? 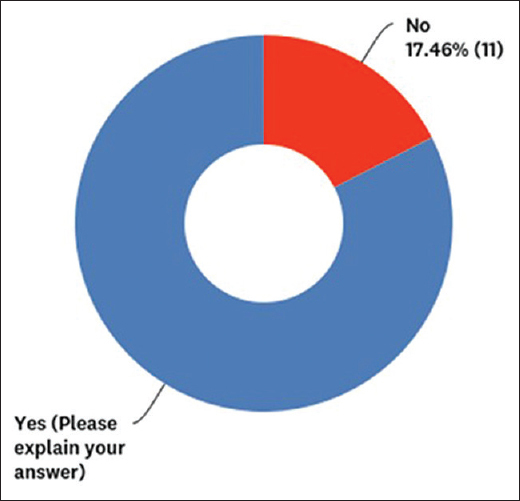 92.6% respondents opined that the Forum gave impetus to further dialogue on strengthening regulatory frameworks worldwide for quality assurance of HMP [Figure 13]. Figure 13: Do you think the Forum has been able to provide impetus to further dialogue on strengthening regulatory frameworks worldwide? The respondents collectively hailed the Forum organisers for opening a channel of communication on the much-needed subject of drug regulations for HMPs and their regulations while facilitating access to authorities. They felt that the Forum initiated a dialogue for harmonisation of regulatory policies and also provided more clarity for developing appropriate strategies. They were hopeful and opined that by having both the regulators and industry representatives on board, strengthening of regulations for HMPS can be both pragmatic and quality-oriented. They also commented that these dialogues must be followed up by the concerned in their respective countries so that some productive talks can be developed, as a result of the deliberations at the Forum. Question 16: In your role as a representative of one of the key stakeholders (Regulators, industry/distributors, practitioners, pharmacists), did the Forum provide you with a platform to share challenges and opportunities? 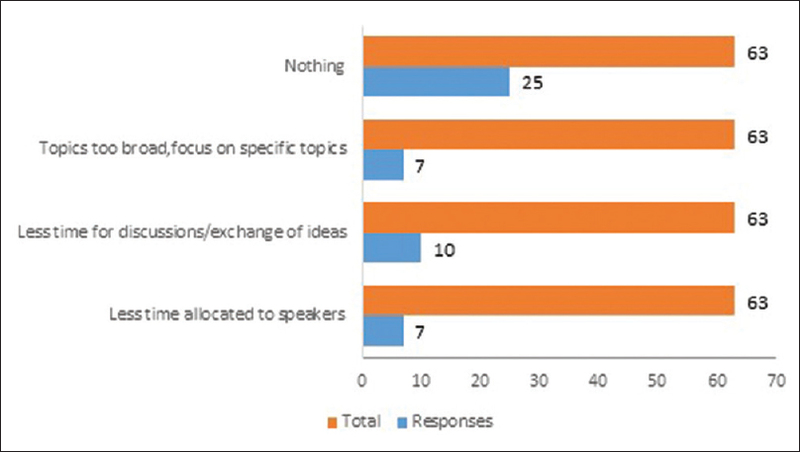 87.30% respondents felt that the Forum provided them with a platform to share challenges and opportunities [Figure 14]. The respondents remarked that the Forum was a great platform to share their views and enabled a continuous dialogue and exchange of information. As commented in their earlier responses to other questions as well, the Forum benefited each in their own specific ways. It was also put across that, the Forum highlighted the need for transparency in legislations/practices for harmonisation. Another respondent from the WHO stated that reaching a common consensus about the regulation of HMPs seems a challenging task and great coordinated efforts are needed to achieve this. At the same time, there are many opportunities that the homoeopathic system of medicine has today, rightfully including the growing interest of the global community. Strong political commitment by the Government of India and innovative advances in gene and nanotechnology are two major boosters that could change the situation for good in the coming times. Question 17: What did you like about the event? As also indicated in their responses to some previous questions, the respondents stated that they liked the fact that the Forum brought key stakeholders from different countries under one roof which gave them the chance to share and have an open discussion about different perspectives including various limitations and regulatory issues they are facing in their respective countries. Further, many respondents praised the organisers for such an informative and systematically arranged Forum [Figure 15]. Figure 15: What did you like about the event? Question 18: What did you like less about the event? Some respondents were of the view that more time could have been allocated to the speakers by extending the event to 3 days or covering various topics more specifically. Separate, dedicated sessions on drug standardisation and drug regulations were also suggested. Some people also felt that the topics should have been more exhaustively covered, so that real issues are not only highlighted but also addressed [Figure 16]. Figure 16: What did you like less about the event? Question 19: Is there anything else you would like to share about the event? Some respondents felt that the absence of Food and Drug Administration (USA) and European Heads of Medicines Agency's - Homeopathic Medicinal Products (HMPs) Working Group at an event of such global importance was regrettable. Further, a few stated that physical presence of representatives from European Directorate for the Quality of Medicines could have resulted in some progress in policy-making for harmonisation of pharmacopoeias. Another respondent commented that there is a dire need to bring drug standards in Homoeopathy and to evolve better definitions of homoeopathic medicine and homoeopathic product. Responsibilities to assure quality in both of these aspects are important for the credibility of Homoeopathy. Question 20: How can future events be improved? As also highlighted in their response to question 10 earlier, an overall viewpoint of respondents from various countries was to organise the next event with less speakers, so as to allow more time for interactive discussions. Smaller working groups for result-oriented discussions on focussed topics were also a common suggestion. A respondent also suggested providing presentation notes to all participants before the sessions, while prior meetings of speakers before their sessions for exchange of ideas were also recommended [Table 1]. Table 1: How can future events be improved? Question 21: Do you think that a future World Integrated Medicine Forum on the regulation of homeopathic medicinal products would be useful? 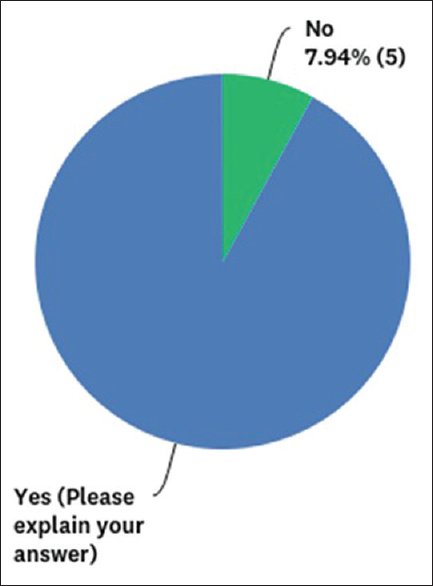 Respondents from all the countries strongly agreed that having a future WIMF on the regulation of HMPs would certainly be beneficial [Figure 17]. Figure 17: Do you think that a future World Integrated Medicine Forum on the regulation of homeopathic medicinal products would be useful? Question 22: If yes, then what frequency do you propose? 47% respondents suggested to organise future WIMF at a frequency of 2 years, followed by 34%, who suggested an annual frequency, while 12% felt that every 3 years would be better [Figure 18]. Figure 18: If yes, then what frequency do you propose? Areas of discussion for future World Integrated Medicine Forum: What should the focus be? 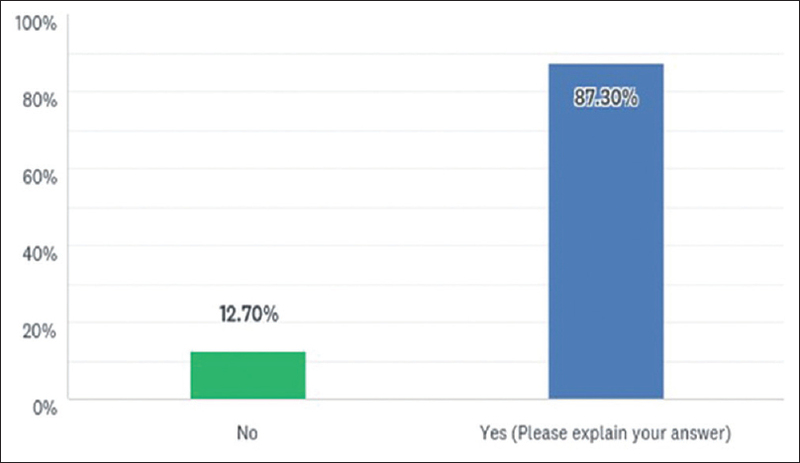 In reference to a forthcoming WIMF, 70% respondents indicated that the focus should be both - regulation of homoeopathic products, as well as harmonisation of homoeopathic pharmacopoeias. 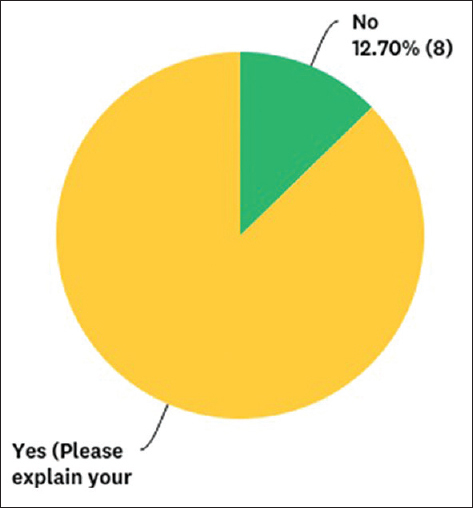 22% said that the focus should mainly be the regulation of HMPs alone [Table 2]. Further specifying the topics of discussion for a future WIMF, respondents gave a top priority to ‘harmonisation of regulations’, followed by ‘harmonisation of homoeopathic pharmacopeias’. Cooperation between Homoeopathy and anthroposophic medicine, as well as the WHO documentation on Homoeopathy. Question 25: How likely is it that you would recommend a future World Integrated Forum to a colleague? On a 10-point Likert scale, 92% respondents said they would recommend a future WIMF to a colleague and marked their responses as 8–10, while 8% marked their score between 6 and 7 [Figure 19]. 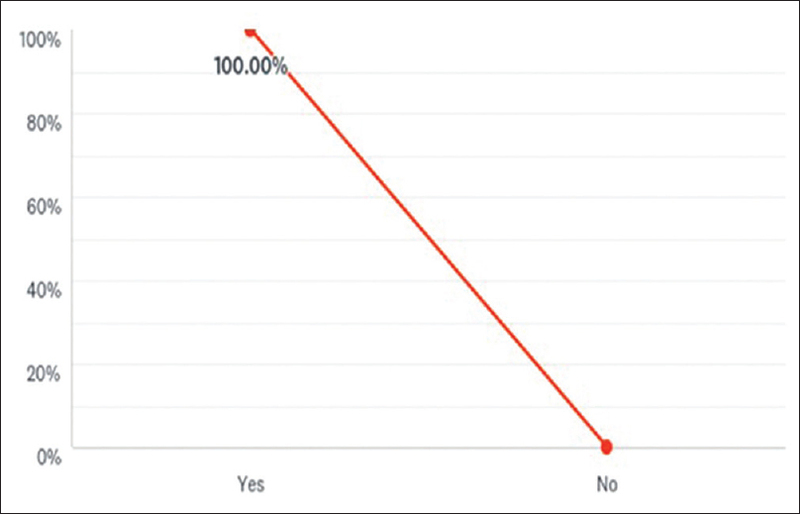 Figure 19: How likely is it that you would recommend a future World Integrated Forum to a colleague? Overall, the results of the survey confirmed that the regulation of HMPs can benefit significantly from an international exchange of information. Despite cultural and national differences, Homeopathy is a truly global medicinal system. The challenges faced by regulators and industries worldwide are similar, but there is still too much duplication of effort and a lack of international co-ordination in finding optimal and appropriate solutions. While in some countries, regulatory framework needs reforms so as to make HMPs acceptable and accessible, in some others, regulations are in place, but need further strengthening or adherence for a standardised approach in the drug regulatory sector. It is also understood that the regulation of HMPs should meet modern standards, as well as be optimally tailored to Homeopathy as a distinct medical system. Further, harmonisation of pharmacopeia is another area of attention. Harmonised homoeopathic pharmacopeia would mean a more organised, and uniform approach to the way medicines are sourced, used and processed for manufacture of drugs. The discrepancies and/or variations in the existing pharmacopoeias leave a lot of scope for a unified task of sealing the gaps in the drug monographs of various pharmacopoeias. A periodical organisation of WIMF, at least once every 2 years to give impetus to international exchange and collaboration will be a right step to address the growing and legitimate demand for safe and effective homeopathic medicines of high quality. Kaur H, Chaudhary A, Khurana A, Hoover T, van Haselen R, Manchanda RK. WIMF on the regulation of HMPs: National and global strategies. Indian J Res Homoeopathy 2017;11:123-35. Available from: https://www.surveymonkey.com/. [Last accessed on 2017 Oct 20].